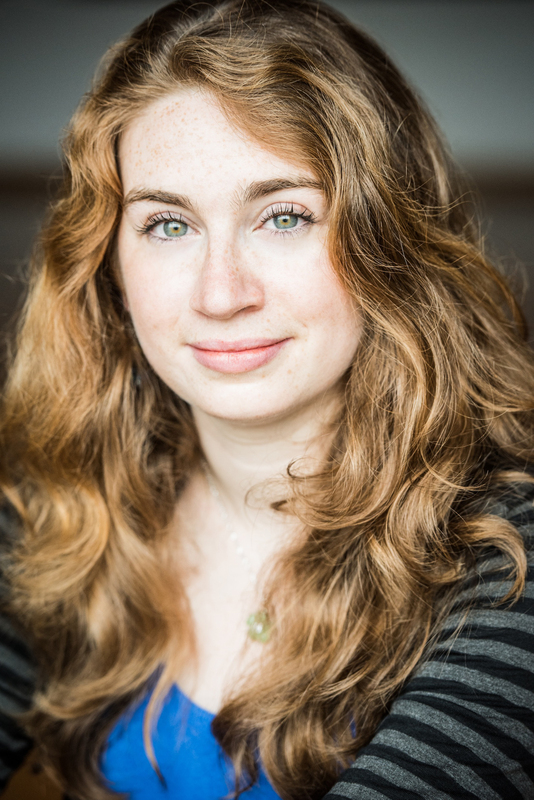 Alice Abracen is an emerging playwright and recent graduate of the National Theatre School of Canada. Her plays have been featured with the Harvard Radcliffe Dramatic Club, the Cape Town WPIC, and the Montréal Fringe Festival. Omission recently premiered as part of Alumnae Theatre’s Centennial Season. Her play The Tour enjoyed its U.S. premiere with Underlings Theatre in Boston in May, and her play What Rough Beast was recently featured in the New Words Festival at the Monument National. She is the 2017 recipient of the Canadian Jewish Playwriting Award. She graduated from Harvard University in 2015 with a degree in English and Religious Studies. September, 1738. Young Jacques La Farge steps off the Saint-Michel, onto the soil of New France, and into custody. Swiftly suspected and promptly arrested, Jacques is soon discovered to be a girl in men’s clothing– and a renegade Jew in a strictly Catholic colony. By order of King Louis XIV, Jacques La Farge, a.k.a Esther Brandeau, is an illegal immigrant. Held under supervision at a hospital in Québec, Esther will be permitted to stay and work in the colony– if she convincingly converts. A chameleon and a consummate survivor, identity for Esther has always been something to shed when it threatens to constrict her. She’s lived her life by a philosophy of seizing whatever freedom she can; and shuffling off whatever coils and shackles may hold her, from her woman’s weeds to her religion’s laws. Shipwrecked on a journey to Holland as a girl, she never returned to her parents in Bayonne. Taken in by strangers, she adapted, passing as a Christian and disguising herself as a boy for both safety and opportunity. Since then, she’s worked for tailors and army captains, in convents and on ships. She’s changed cities, professions, and names more times than she can count. She’s been arrested. She’s navigated unwanted attention, speculation, hostility– and has always managed to decamp before rumors or aggressors tore away at her masquerade. A determined wanderer, Esther has chafed at borders all her life, and she’s always dreamed of crossing that final frontier into the New World. To do that, she just needs to capture one more audience: the authorities of New France. She’s an excellent performer of both masculinity and Christianity– this should be a piece of cake. Except Esther has always glided between the cracks of gender and faith, transcending conventional constructs and borrowing elements of other spiritual traditions to shape her own identities and beliefs. Now that New France requires her to stay on a narrow route of both feminine and Catholic orthopraxy, she’s garbling her lines and choking on her oath of allegiance. Quick to adapt but unwilling to settle, Esther’s not ready to abandon Jacques; neither is she ready to eschew her own brand of her Jewish faith. Esther has staked everything on this move to the New World and the freedom it promises– but what parts of herself is she willing to cut out for a country that does not want her? The Sister tasked with caring for Esther is both fascinated and challenged by her charge. Esther is a threat to the colony’s mission- she’s looking to convert the Indigenous people here, not to worry about those arriving. Esther knows that her Catholic brethren are settlers too, and challenges the arbitrary nature of the ban on her faith. The two women wage a war of conversion, and soon find themselves sharing stories and navigating their own complicated relationships to faith and femininity. Where one sees imprisonment and stasis in orthodoxy, the other sees liberty and purpose. The Sister cannot help but be enchanted by the adventurous life the girl has lived. Rattled in her conviction and in her mission of conversion, as the clock runs out on Esther’s trial, the Sister finds herself fighting not just for a soul, but for a friend. Esther’s interrogator, however, is frustrated by her refusal to fit neatly into a religious category. Commissary Jean Victor Varin de la Marre is pragmatic, ambitious, a man of the world; like Esther, he has fought hard to carve himself a place in New France. Varin’s sympathy for Esther’s enterprising spirit, and his skepticism about the sanctity of the colony, does not extend to risking his own career. Esther will convert, or she will be sent back to France. While our neighbor to the South attracts notice and horror with deportations, internments and targeted bans of members of specific faiths, woven into the margins of Canada’s celebrated multicultural tapestry are repeated scenes of refusing, forcibly converting and interning members of the population, immigrants and indigenous, for their faith or ethnic background. Since Esther Brandeau, many groups have found themselves denied entry to Canada and sent back to face horrible fates, or granted passage only to find themselves confined to appalling conditions. Xenophobia and hostility towards people of different faiths continues to permeate, with oft-cited concern for the dilution of Canadian and Québec values fanning the flames. There have been recent clamor and recruitment efforts to preserve the white ethnic heritage of Canada and Québec by restricting immigrants and closing borders, despite a shared settler history. The arrival of Esther Brandeau forced the authorities in New France to question the enforcement of their edict against non-Catholics; I think her extraordinary story continues to humanize the experience of new arrivals and interrogate the attitudes that seek to continue to bar them access to our shores.